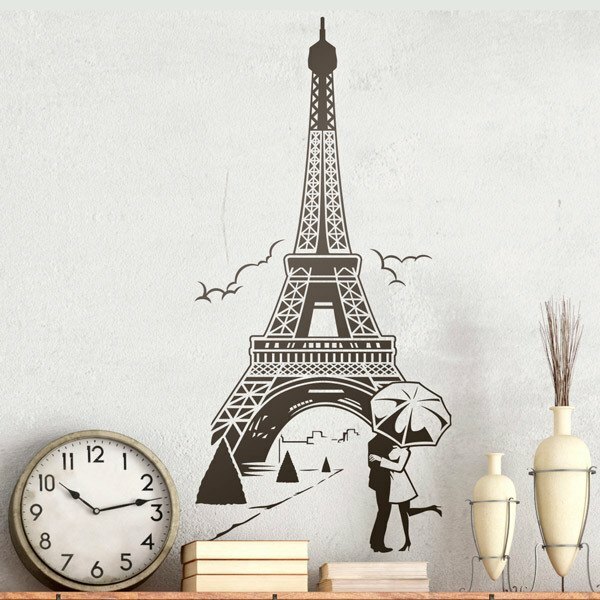 Wall sticker Lovers under the Eiffel Tower. 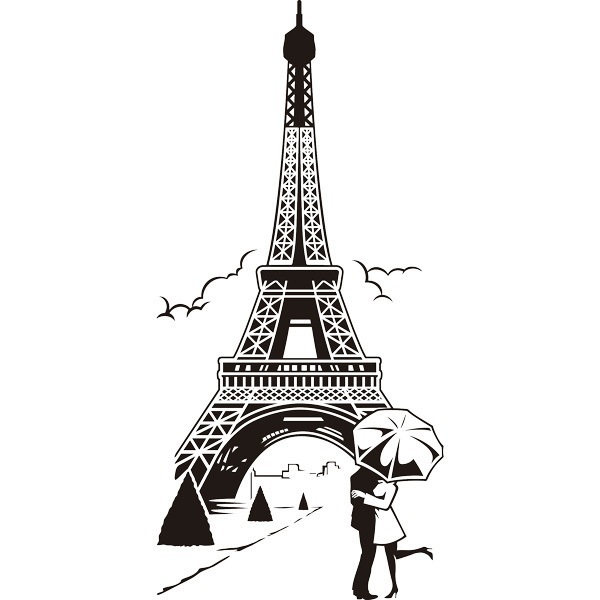 Image of a couple in Paris, the city of love, with the Eiffel Tower behind. The couple hides in an impish way behind an umbrella. The Eiffel Tower is a symbol of the city and of France. Size: 39 x 27 cm.